Our security solution is very convenient in setup and usage. It is enough to place several components on the form and specify the server address and the user login information to establish a secure connection. Applications that have to work with secure information are easy to deploy, as they do not require any external files. 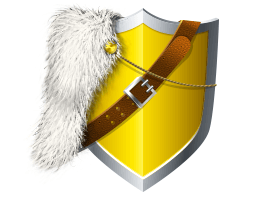 SecureBridge protects transferred data against different kinds of attacks. SecureBridge uses the Diffie-Hellman key exchange algorithm for secure network connection establishing. A reliable random number generator is used for generating keys. To protect data against illegal access, information gets encrypted by symmetric algorithms that provide high speed and reliability. For data integrity verification hash algorithms like SHA1 are used. This high-performance and feature-rich library of components combines cross-platform solutions for developing applications using various IDEs and editions including Community Edition: RAD Studio, Delphi, C++Builder, Lazarus (FPC) on Windows (for both x86 and x64 platforms), macOS, iOS, Android, Linux and FreeBSD. SecureBridge supports Internet Direct components (Indy) and Data Access Components for MySQL and PostgreSQL (MyDAC, PgDAC, UniDAC) . This allows you to implement all the advantages of encrypted connections within a single application without any external files. SecureBridge supports SSH2 protocol which is one of the most reliable protocols for data en­cryption. SSH2 is an acknowledged industry standard in the area of secure data transfer through un­protected con­nections. Our components support Secure Socket Layer (SSL) protocol, which is one of the most reliable protocols for data en­cryption along with SSH. 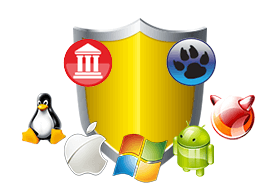 SSL is a widely used protocol for ensuring safety of financial opera­tions in Internet. Any Internet-resource that deals with money, protects its operations with SSL. High-performance SSH server with wide abilities for connection setup and users ma­na­ge­ment. SSH server works with different types of SSH clients such as OpenSSH, PuTTY etc. Number of the clients connected simul­taneously is limited only by system resources. In addition to the possibility of using an SFTP client for secure file down­loading, you now get a great functionality to cre­ate your own SFTP ser­ver using the TScSFTPServer component. Use the TScSSHClient component, that re­presents SecureBridge SSH client, to work with different SSH servers like OpenSSH, WinSSHD. It allows you to achieve high performance due to con­nection parameters ma­na­ge­ment. SSH client unites several un­protected chan­nels from client to server in one protected con­nection. Logical chan­nels can exist in different threads. SecureBridge SSL client is implemented in the TScSSLClient component. It can work with other applications through SSL 3.0 and TLS 1.0 protocols. 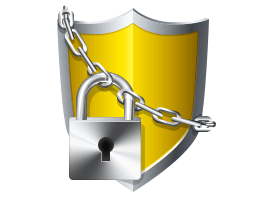 SSL client validates server certificate, encrypts/de­crypts data transferred through a network. Transfer files and access file system securely using the SecureBridge SFTP Client, that is implemented in the TScSFTPClient com­ponent. Visit our Support page to get nimble support from cognizant professionals, fast and detailed res­ponses, user engage­ment and inter­action, frequent builds with bug fixes, and much more.